On September 30th, I met-up with my fellow athletes at Innsbruck airport for the first part of this season's FIS Development Camp. From there we travelled to Flattach, at the foot of the Molltal Glacier, for our first week of training. On the Molltal Glacier, the snow was really, really patchy. We couldn't ski at all for the first couple of days after which the conditions remained poor and my skis didn't thank me at all for driving them over countless rocks! 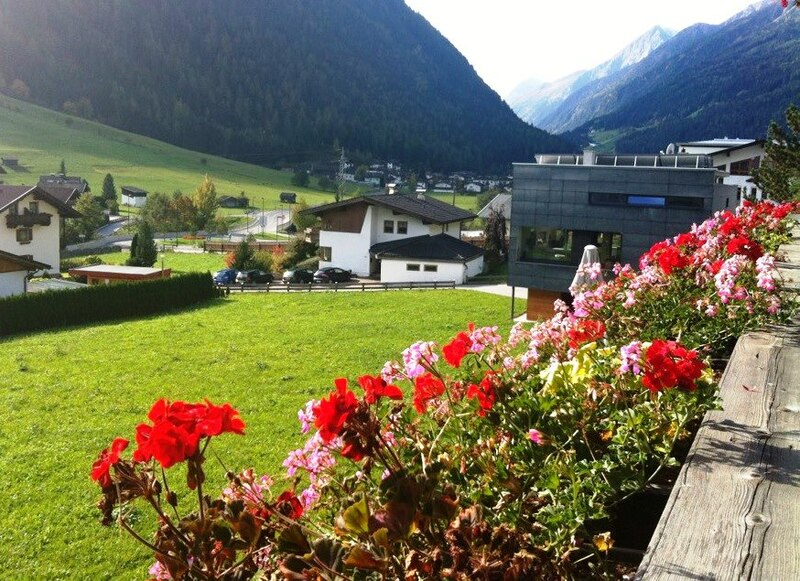 Things have definitely been better since we moved to Stubai where we have been able to train every day. Last weekend, I had the day off on Sunday and spent it in Innsbruck where the weather was lovely and sunny (if a little cold!). The snow has now started to fall with a vengeance and we have even been able to set gates for gate training! We are remaining in Stubai until next weekend when we move to Castelroto for a week of dry land conditioning - can't wait!! !